The AEU-27A Electronic Endodontic System is the newest generation of endodontic systems from Aseptico. The AEU-27A is a lighter handheld motor with new features, including upgradeable software and a weighted omni-directional footpedal. 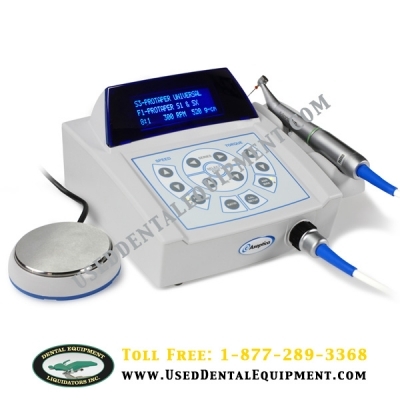 It also includes all of the trusted features of the Endo DTC, like simple operation, five programmable memory locations, auto-stop-reverse to automatically prevent file breakage, and an integrated calibration system to ensure accuracy.